Something circulated saying that if the ride broke or some work was needed from B&M themselves they could just say no as the park hasn't been running it as it was designed. Pure rumours though as the rides operate fine independent of the other but I guess it depends on what the contract says (plus I doubt B&M would be that stubborn and not fix it because the park aren't allowed to duel it anymore). 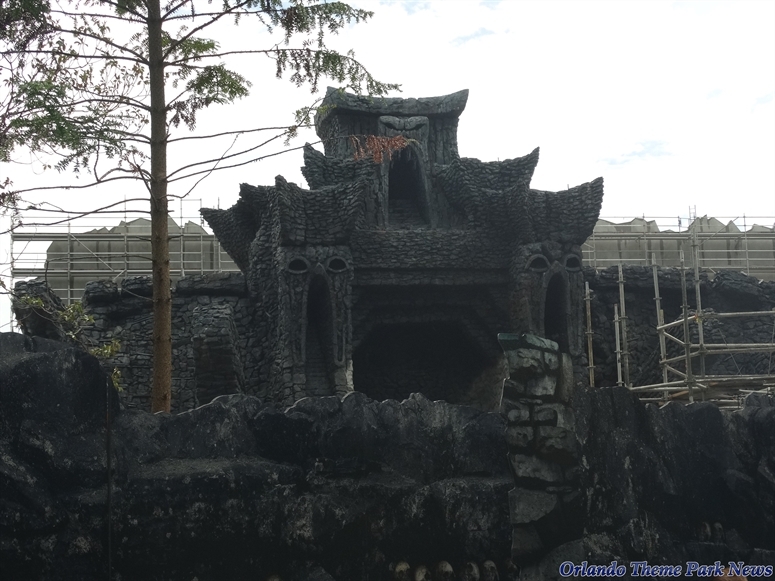 Okay the exterior of Kong is starting to look spectacular! Some concept art showing the ride will have an exterior section before heading inside. As you journey deep into a mysterious island, your 1930s expedition is swarmed by enormous prehistoric predators. Your only hope is the most colossal ape ever to walk the earth. As the gargantuan beasts fight for dominance, you will just fight to survive. 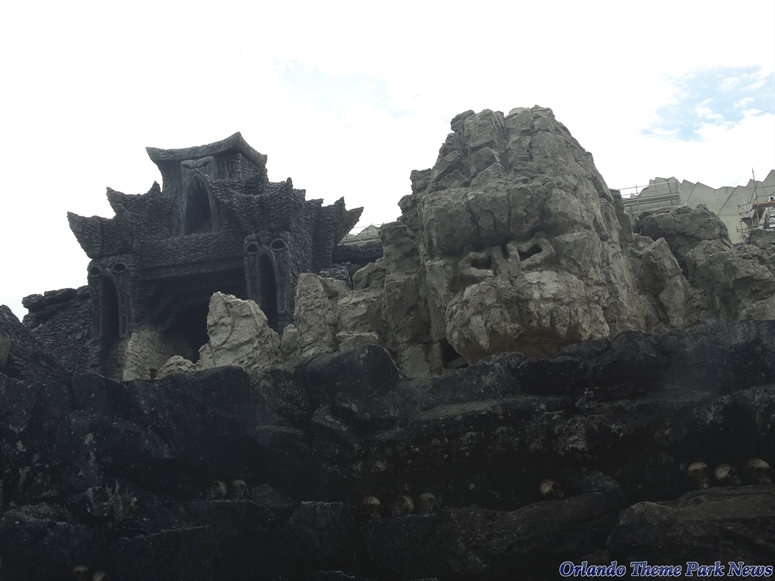 Skull Island: REIGN OF KONG - A multi-sensory, multi-dimensional new ride for your life. 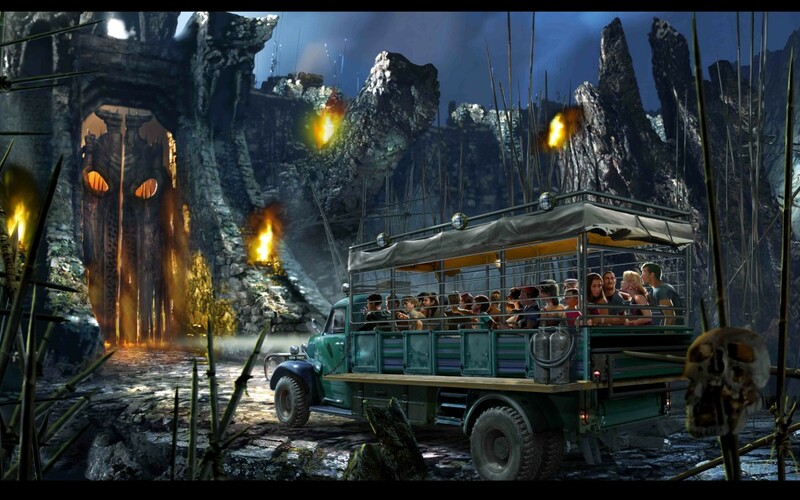 Coming Summer 2016 to Universal’s Islands of Adventure® at Universal Orlando® Resort. universal have teamed up with Nintendo, exciting! Horror maze with ReDead please. Any Nintendo addition will be in Japan first though... And the potential ideas are very interesting... Even beyond the likes of Mario, Zelda and Metroid, what about a Pikmin themed attraction? So lots going on around Universal at the moment! 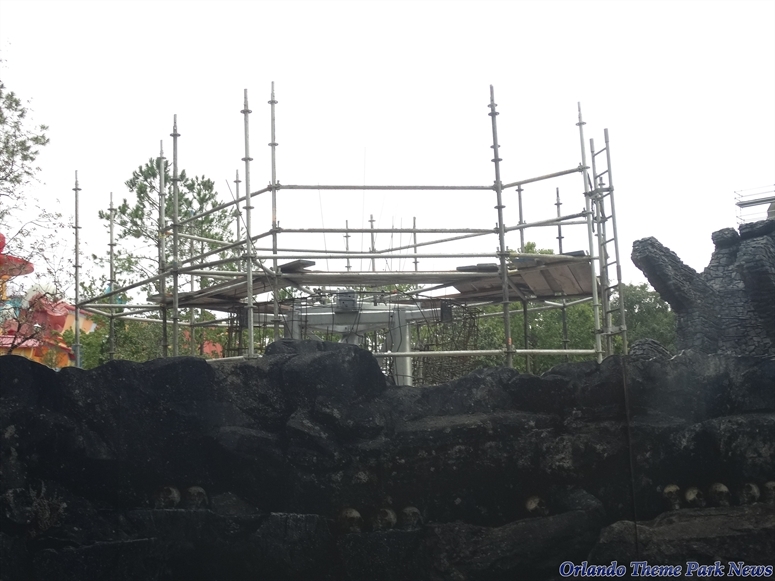 New raptor encounter enclosure to replace the long gone Triceratops one! Dad's like "lol this'll stop my kids wanting to come here making me poor every summer!" The Nascar Sports Bar replacement has been announced. NBC Sports Grill and Brew. Over 100 beers according to these American people! Looks nice! This is part of the CityWalk Phase 2.0 redevelopment. And last but not least, Volcano Bay has been briefly announced! They're calling it a water theme park which goes along the idea of Universal trying to make the water park a whole day thing with the night time show being rumoured to be a spectacular eruption of the volcano where the water is projected on or lit up to make it look like lave. Who knows but it looks good. Rumours also of it having the tallest slide in the world as the Volcano is 200ft and there's a platform near the top with a slide going through the volcano and exiting bottom right. Needs to be over 170ft to get the record. Not much on it but for a water park that's half the size of Typhoon Lagoon or Blizzard Beach but promising to offer a full day experience it'll be interesting to see what arises. Especially knowing Universal and there ride technologies these days, this won't just be a new Wet'n'Wild (of which the future hasn't been decided). Universal are doing well in relation to guest figures. Almost all of the Florida parks have seen an attendance increase in 2014 compared to 2013. This doesn't really come as a surprise. Wet'n'Wild Orlando will be closing on December 31st 2016. Rumours are Universal are looking at building a few more hotels on the land and possibly another CityWalk style thing. Even though Univesal will be receiving the far more up to date and visually impressive Volcano Bay, it does feel a bit of a shame they are closing this place considering its central location, size and popularity on top of being the first water park in America. Also, wonder what they'll do with all the rides there plus the park won't have a water park for a while too. 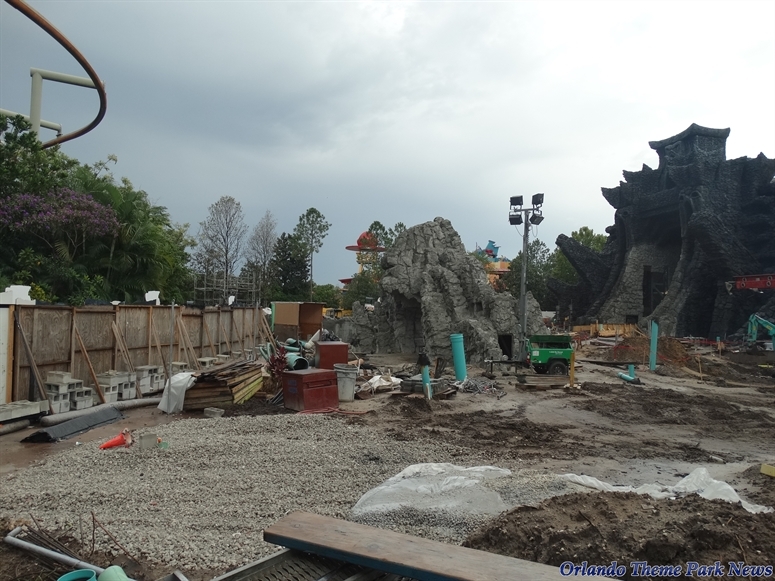 Construction walls blend in quite nicely. Permits have been filed for interior demolition, renovation and new trailer. Rumours are it could close as soon as this September for half of the refurb, open for busy Christmas period then close again till next summer. Talks are the queue will be entirely overhauled and done properly (could we see something more like the Potter queues?) and hopefully something done to that horrid exterior cattlepen extension. For the ride itself, the track will all be replaced (but layout the same) with talks of a glowing green track which would look stunning over the lake. The launch will be changed to LIMs instead of the tyre drive which is apparently horrific to maintain with new tyres needed frequently and obviously the ridiculous amount of energy required. Reduce the cost of running Hulk and more money is available. Also rumours of upgraded trains (B&M vest harnesses to reduce head banging?) and on board audio. Either way, with permits filed, rumours of Doctor Doom leaving imminently to free up that space, Marvel Superhero Island might be about to grow. Currently they have a few houses at Halloween in a warehouse down there and it's the parade base I think. But this new building is bigger. Obviously, this brings around the next rumour, KidZone. It's outdated, everyone knows that, but by building a big new building behind it you could update it. Maybe Nintendo... But with a new building you could build a family dark ride around it, leave E.T alone so that's safe and redo KidZone into a Nintendo land (green pipe play zone anyone?). Old ride, spends a lot of its time broken. Time to update. End of San Fran? Rumours are that Beetlejuice could move to Fear Factor (although that thing always misses the bullet for some bizarre reason when stuff is closed...) So that leaves Disaster which is a big site. Big site. So what's big, successful and something that's been done at Hollywood? Why Fast and Furious of course! So hello Los Angeles good bye San Francisco? Anything could be possible knowing Universal. This one isn't soon though, no permits have been filed so you're looking at longer for this project especially as it is all speculation, but would make sense. Oh this one has come up so often. But, permits have been filed for interior demolition and renovation so something is actually happening, Twister will close eventually (since it's been rumoured from early this year). So its replacement... Jimmy Fallon of course. At first it was rumoured to just be a show, not sure how that'd have worked though. Now the rumour is at least more interesting, a Soarin style ride where you're inside the mind of Fallon as he prepares for his show, or is running late or something. Talks it could even follow a style of Inside Out where you are his emotions or something and you see through his eyes as he encounters problems getting the show ready. It's a really odd thing in my eyes, but could be quite entertaining plus Fallon and the Tonight Show did a week sting at Studios before (might have even done it twice now) and he is on the tram tour at Hollywood. So many rumours and so many permits a lot could be changing at the parks. Some very soon, especially knowing how quickly Universal build, announce and open stuff. Can't forget rumoured Potter expansions for 2018/19 either, and there's still a huge amphitheatre empty at Islands. So the hulk improvements are confirmed now, and it's closing on September the 8th, and will stay closed until next summer. Disappointed that it's going to be closed when I go this October, but I'm sure I'll get on it in the future. I'm so glad I got to Studios/IOA this summer, brilliant parks. I guess I'm lucky I got on hulk a few months before it closed haha, it's a great ride but the queue is REALLY dated, I'm glad they're improving it. 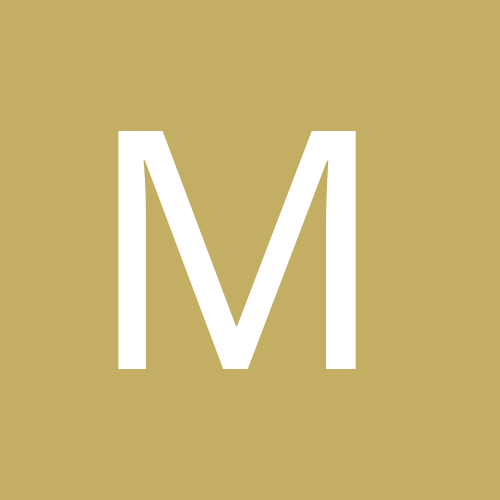 These investments snd upgrades sound exciting and stunning. The hulk one sounds much needed as apparently the ride was getting rough and the appearance was starting to look worn, so an overall hardware upgrade in addition to a 21st century update sounds much needed. 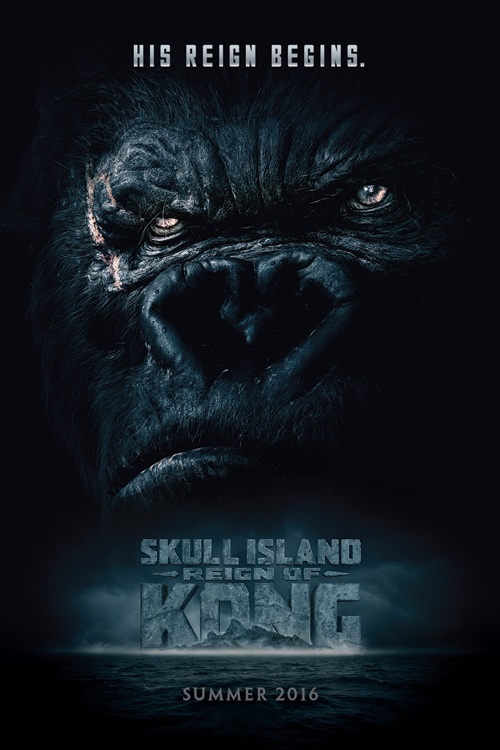 Let's look at Kong then! Construction walls blend in well now. 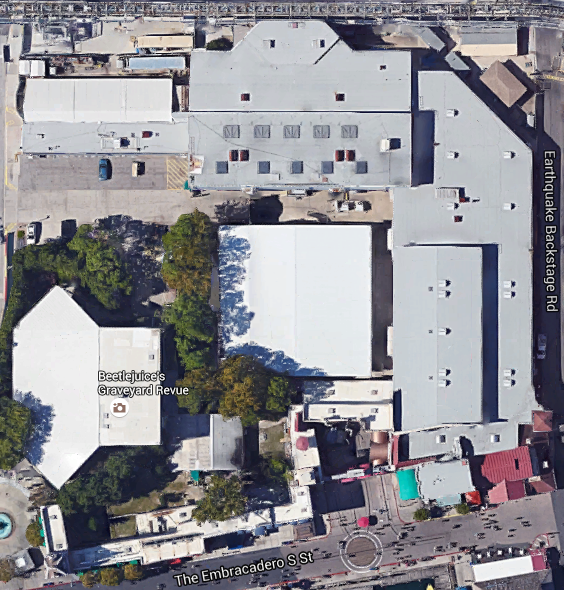 On FB, Orlando Theme Park News used this NearMap thing to work out the areas of stuff. Whole area of Kong is this. For other comparisons, Spiderman is 50,000, Forbidden Journey 66,000, and Gringotts 70,000. Those all include the queues etc much like the Kong ride dimension has. So it is definitely huge! Using this they also worked out that Volcano Bay will be the largest waterpark out of the Florida set. Volcano Bay. Notice also the base of the volcano being started. Hulk is exciting. It wasn't rough as such, just a bit rattly. Was perfectly fine. The stuff going around about what they could be doing to it is intriguing. Track being replaced especially over the lake (glow in the dark track or some sort of fancy track with integrated lighting), new trains with lighting and on board audio. Launch system could still be tyre drive apparently, just modernised so it doesn't need so much energy. Queue line is getting completely torn apart and done up like your Potter queues to become part of the experience. Station being tweaked to make it more modern as well as new tunnel effects. All to make an iconic coaster even more stand out and iconic and more than a coaster. It's also to bring the MCU into Universal with rumours of another Spiderman overlay to include the new guys voice (whoever it is), Doctor Dooms leaving to open up a huge amount of space for an Avengers dark ride possibly. Basically Uni is looking at redoing the whole Superhero Island into an MCU one. Either way very exciting times ahead with strong rumours of a video game themed area or even the long rumoured 3rd gate. Jimmy Fallon and F&F ready to be announced soon for 2017 and a new parade in the works. YAY! Oh and for all those Universal can't use Marvel rumours. Well it's an ongoing contract where they can use the Avengers characters. The Disney-owned Marvel movie brand was conspicuously absent from plans to rehabilitate Hollywood Studios. Although Disney bought Marvel in 2009 for $4 billion, the Florida theme park rights to Marvel characters like Spider-Man, the Hulk and Captain America continue to be held by Universal under a long-term contract. 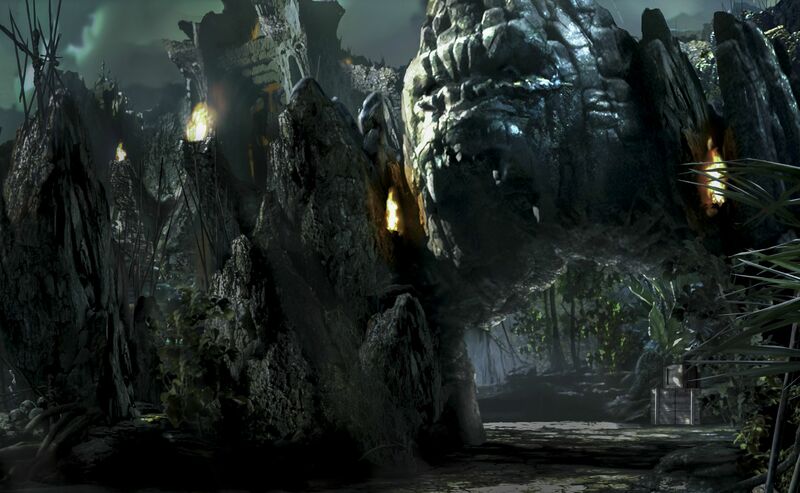 That rock work on Kong makes me so happy! Need to get myself across the pond in the next few years. Florida is the place to be for a lot of the most exciting new attractions in the world. Universal is really moving forwards with everything so far and I look forward to how they keep progressing and WDW responds investment wise. So Disaster will close on September the 8th forever (guess those staff are just... moving on!). Beetlejuice will close at a later date this year. But what is this for? Why Fast & Furious Supercharged of course! Lots of rumours spiralling around on this one. Many think it'll essentially be a carbon copy of the thing on the tram tour which if so means it's taking Universal 2 years to build a 90 second dark ride. The plot of land in Hollywood for their F&F attraction is 55,000 square foot, the whole of the Disaster and Beetlejuice area is 144,000. Okay they need to include a queue in that space and there's talk of building a HHN house as well but still, those two things won't take up 90,000 square feet. Just no way. Little information on what the ride will actually be, but Disaster is being flattened entirely so it will be a brand new build. It will also be set in San Fran so that area of the park won't be rethemed to Los Angeles which was rumoured a while back. You’ve seen the cars. You’ve seen the action. And soon, you’ll be able to live it. I’m so excited to share that one of the most successful film franchises of all-time will soon become one of Universal Orlando Resort‘s most action-packed ride experiences. Buckle your seatbelts, because in 2017, Fast & Furious: Supercharged is coming toUniversal Studios Florida. You’ll feel like part of the “Fast family” as you embark on a thrilling new Fast & Furious adventure that will put you right in the middle of the action. There’s SO much to share about this thrilling new ride—I can’t wait to share more details in the future. Make sure you stay tuned to the blog for updates. Will be interesting to see. They've announced this nearly 2 years before opening, it's got to be quite a large project. 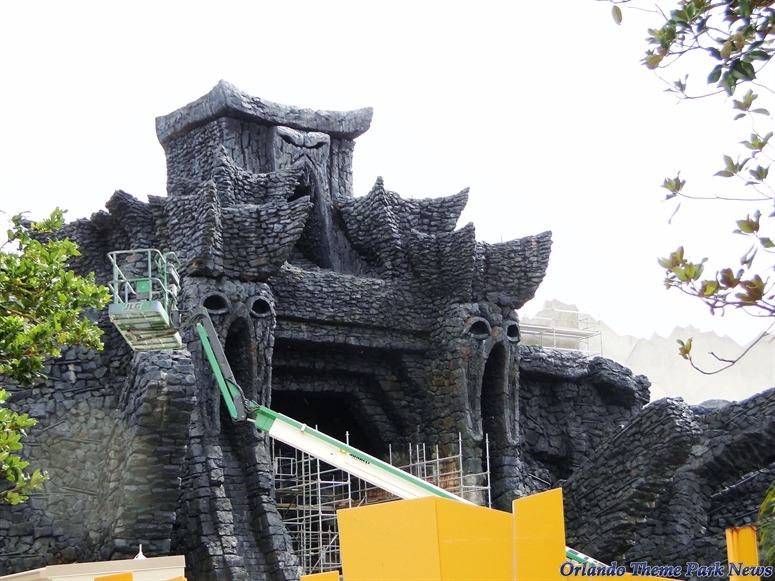 Plus, the show guy of Creative who worked on Gringotts is working on this. He didn't work on Supercharged in Hollywood so the design lot is different. Also talks that the investors in Universal Beijing is investing heavily in Universal Creative to conceptualise new and innovative rides now so they can be perfected for Beijing so that park can open with the newest of stuff and it all works. Beetlejuice is rumoured to go in Fear Factor Live's space next year. Once again though, nothing on Twister. It's imminent but that thing just keeps dodging the bullet. Even weirder is how Fallon is supposed to open before F&F, but I guess Fallon is more a C/D ticket where this is probably an E.
So we could be losing three attractions at Universal next year by the looks (however Beetlejuice might be moving), however no doubt it's replacements will be of high quality especially seeing how amazing Kong looks already. Wonder what type of ride Fast & Furious will be? I know there's another attraction going to the Hollywood park soon (if it's not there already). Strange about Twister though, I really thought this attraction was on its way out as Theme Park Tourist had been talking about permits for the ride's demolition and Jimmy Fallon opening in 2016 or 17. Shame Disasters going though even if it's old and dated now. F&F at USH was just one of their random additions to the Tram Tour (in the same way as Kong was added in recently), and I think it's just a screen based immersive tunnel-esque thing... Full of THINGS and EXPLOSIONS and EXCITEMENT! Early next year could be quite a empty time across the parks. 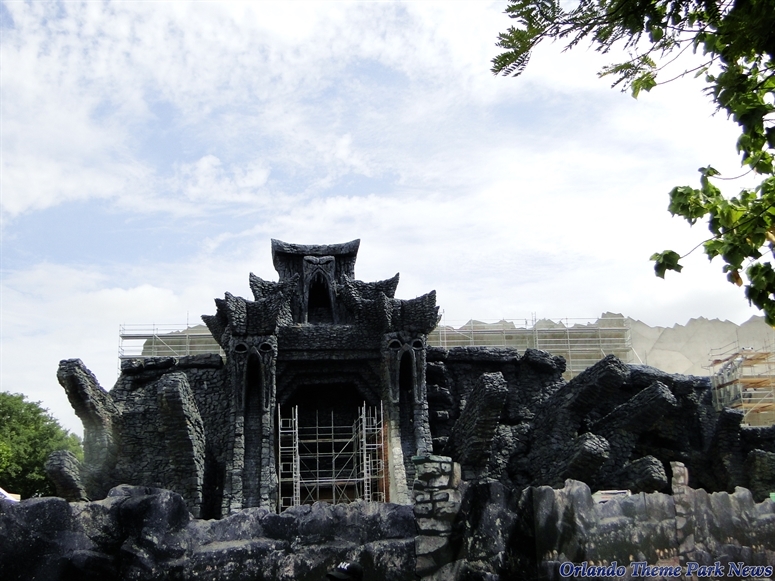 Hulk closed, Kong not open (both till summer), Disaster will be closed as will Twister (rumours are 1st November). The Fallon attraction is real with talks of early 2017 opening. It's probably just a much easier build that F&F is. KidZone could be closing early next year too to make way for Nintendo Land in 2018. It's a problem you hit when you want to update your park rapidly but don't build on new land and only update old attractions. Hollywood Studios has hit the same problem. We will gain lots though. Volcano Bay anyone? 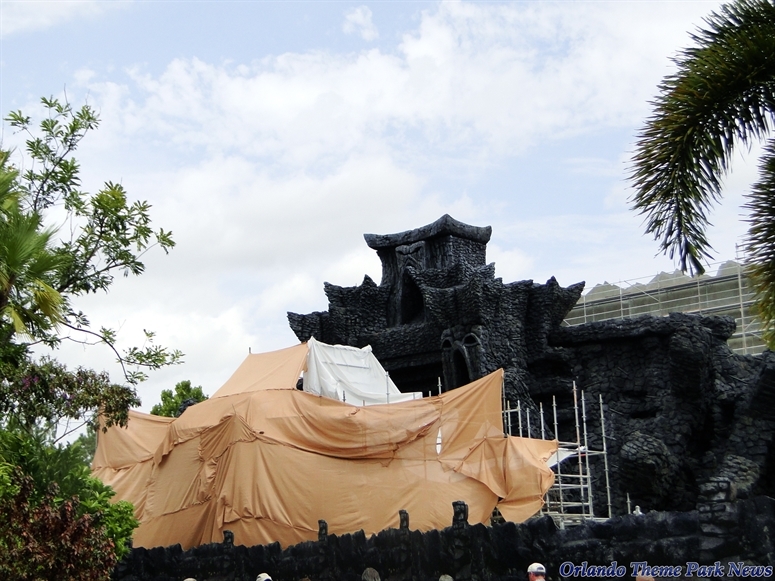 Hulks refurb should be fab, Kong looks stunning. Nintendo land could be great, Fallon should be bizzare and fun. Can't always have E-tickets Oh and Doom might be closing soon for a Avengers ride maybe 2018/19 and Harry Potter part 3 will no doubt be their answer to Star Wars Land.